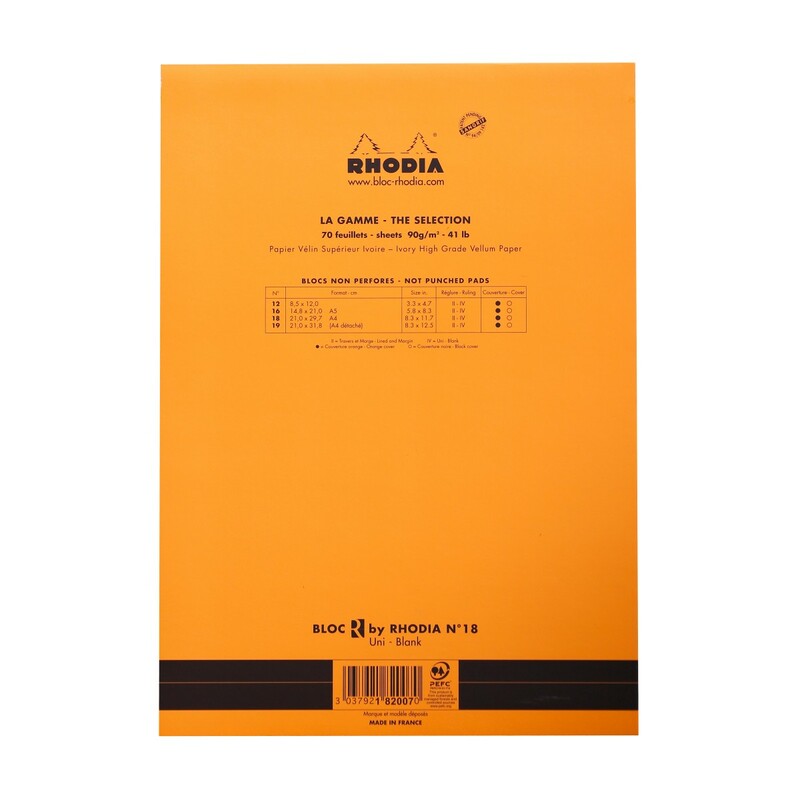 Rhodia Bloc «R» pads have the same clever design than classic Bloc pads, but comes with premium-materials. The velvetly soft covers holds ultra-smooth 90 g paper sheets which guarantees exceptional writing experience. Micro-perforated sheets enables you remove the sheet neatly by quick tug without ripping it - they detach easily but not unintentionally. The cover is scored to fold neatly over the top of the pad, following the natural shape of the stack of paper. 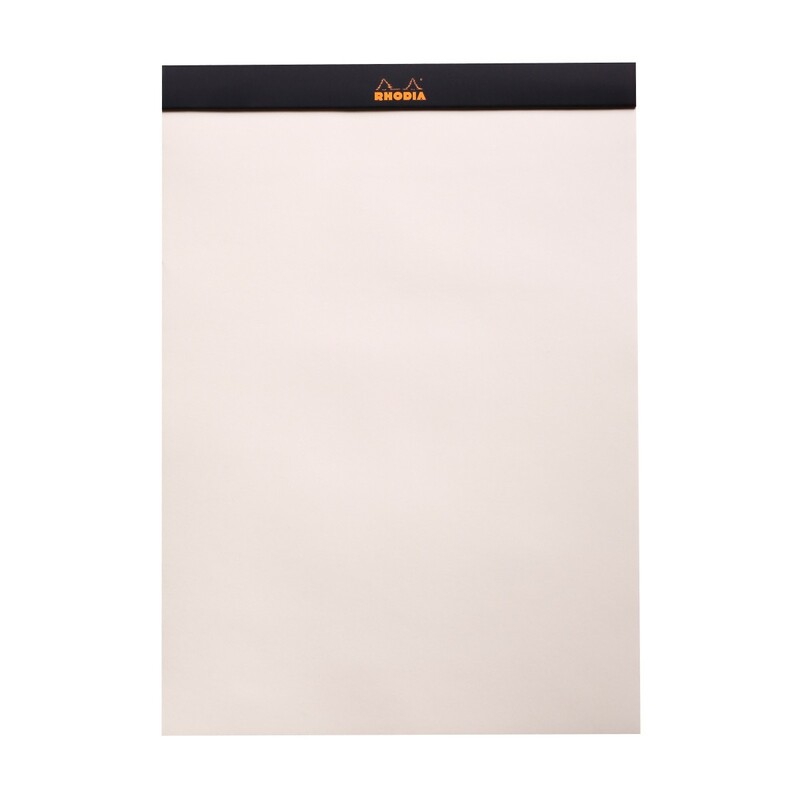 This simple but ingenious solution keeps the pad evenly on a desk and makes it very durable. The staples do not appear on the back either. Stiff back cover makes writing easy on uneven surfaces or handheld. Very nice paper for fountain pens. Very smooth, beautiful ivory colour, no bleeding through. Highly recommendated. On mahdottoman hyvä piirtämiseen. Tussi/guassin väri pysyy ja lopputulos on todella kaunis. 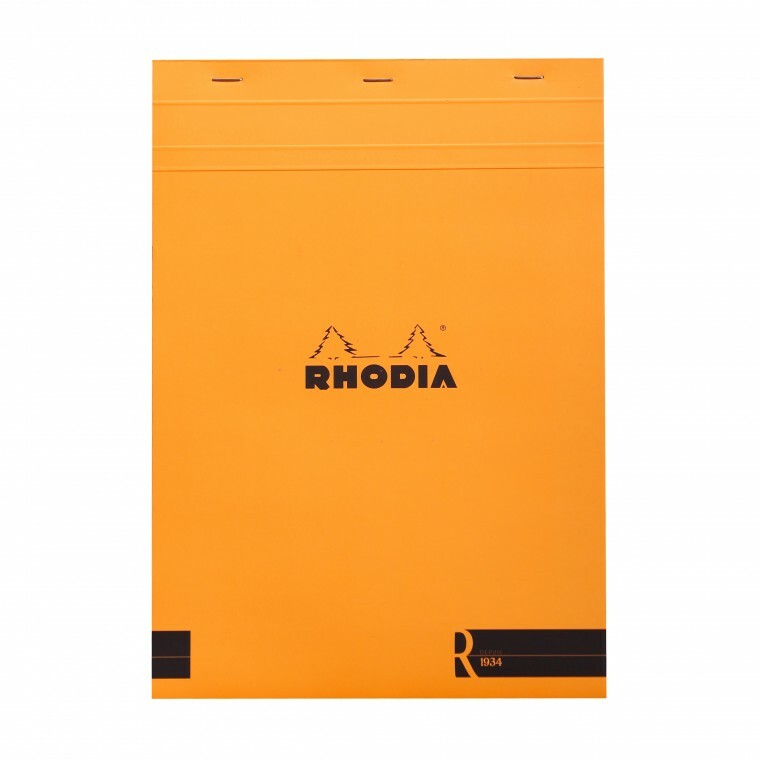 Rhodia products are designed for the needs of professionals. They have become popular among architects, designers and the like for their durability and quality. 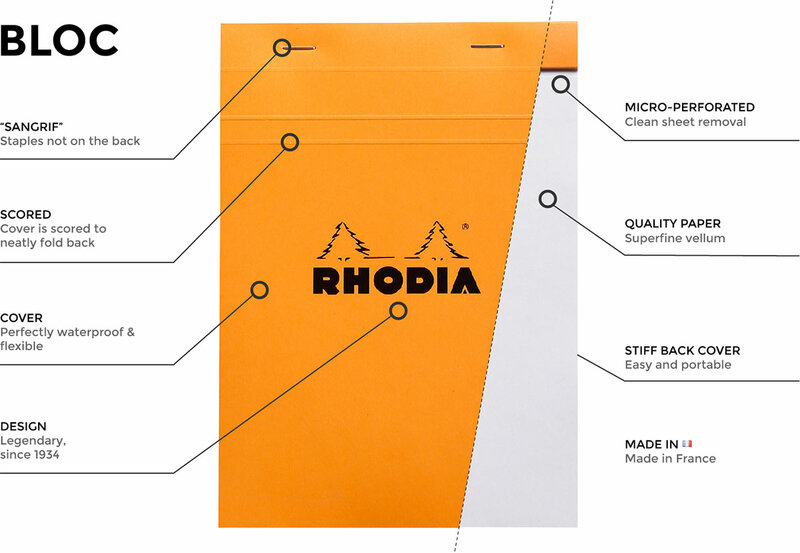 Since 1934, Rhodia has been manufacturing the legendary Bloc pad, and later expanded to other memo books as well.